Microsoft has announced that it’s acquired Genee, a productivity app that launched in beta last year and focused on automating the task of scheduling meetings. The terms of the deal were not disclosed. Genee allowed users to set up meetings without having to consult a calendar. 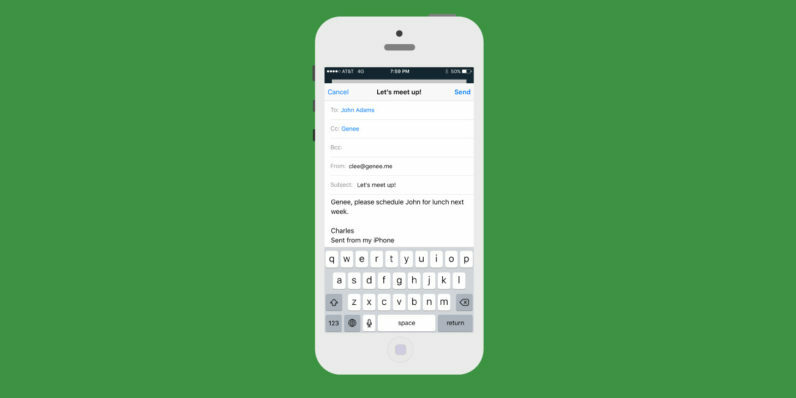 Once Genee was CCed on an email asking a contact for a meeting, the app would email them with options based on your availability and preferences and add the appointment to your schedule. It’s certainly not the only such service to do this; others like x.ai and Clara offer similar capabilities. Microsoft noted that the Genee team will join the Office 365 fold to help “further our ambition to bring intelligence into every digital experience.” It seems like the obvious move would be to integrate Genee’s meeting scheduling service into Outlook, but Microsoft hasn’t specified whether that’s on the cards. The Redmond giant has been doubling down on productivity apps in the past couple of years: Earlier this year it acquired professional social network LinkedIn; in 2015, it bought to-do tool Wunderlist, the popular Sunrise calendar, mobile team chat service Talko and MileIQ, a mileage-tracking app; in 2014, it snapped up email app Acompli. Genee will shut down its own service on September 1; it will stop sending out reminders, but all existing entries in your calendar created by Genee will remain. Read next: Is this the new PS4 Slim controller?